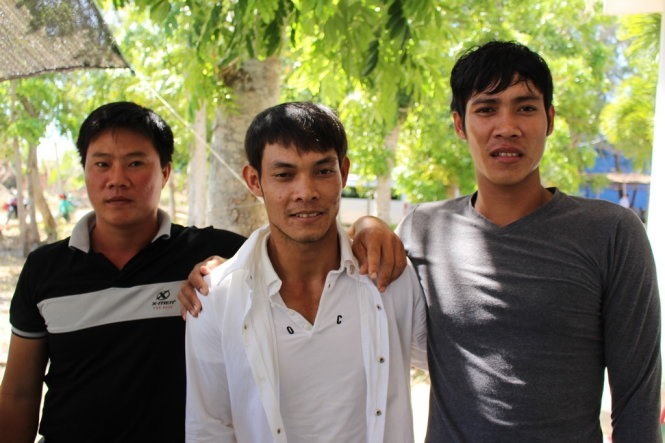 SÓC TRĂNG — Justice authorities of HCM City’s Bình Chánh District on Tuesday delivered a public apology to three men wrongly arrested and jailed for robbery. Representatives of Bình Chánh People’s Procuracy, Court and Investigation Police apologised in person to Ong Văn Sệt and Khưu Khánh Sỹ, both 35, and 28-year-old Trần Văn Uống at their hometown in Hòa Đông Commune in the southern province of Sóc Trăng. The case began five years ago, on December 12, 2012, when police in the district’s Lê Minh Xuân Commune received a report about two young men attempting to rob a couple on Trần Đại Nghĩa Street. The police later found Uống and Sỹ near the scene, who admitted at the police station they planned the robbery with two others, Ong Văn Sệt and Trần Văn Đen. The four men worked at an animal feed manufacturing facility in the commune. Bình Chánh Police on December 10, 2012, decided to initiate a full investigation against Uống, Sỹ and Sệt on the charge of robbery. The district court sentenced Uống and Sỹ to one year, seven months and nine days in prison in July 2014, although the two insisted they were innocent and appealed to the HCM City Court. Uống told Tuổi trẻ (Youth) newspaper that the group was preparing a new batch of animal feed that night when they saw a group a people on motorbikes riding at a high speed. “Soon after, we were brought to the police station and charged with robbery. The police there told us to copy what they had written and said they would let us go. But I wasn’t released and instead beaten with batons on my arms, legs and shoulders,” Uống said. The HCM City Court of Appeal decided to cancel the previous court’s verdict and ordered a reinvestigation into the case. During that time, Ong Văn Sệt returned to his hometown in Sóc Trăng until he was arrested by Bình Chánh Police in November 2015 and prosecuted in connection with the robbery charge.